1) (Little Eden). Az. three annulets or, on a chief ar. a greyhound courant gu. collared of the second. 2) (Knaresborough, co. York). Ar. on a cross engr. betw. four lions ramp. gu. as many bezants. Crest—A leopard sejant or, spotted sa. collared and ringed ar. 3) or Rodes – (Stavely Woodthorpe and Barlborough, co. Derby). See Rodes. 4) (Kippax, West Riding co. York). Az. on a bend wavy ar. plain cotised or, a lion’s gamb erased ppr. betw. two acorns of the field. 5) (New Zealand, and Kippax, co. York; granted to Hon. 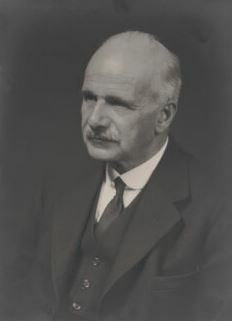 William Bernard Rhodes, of Wellington, New Zealand, senior representative of Rhodes, of Kippax). Az. on a bend wary ar. plain cotised or, a lion’s gamb ppr. betw. two acorns of the field. Crest—A dexter arm erect, vested az. cuffed ar. charged with aa acorn or, and grasping a fern sapling of New Zealand eradicated ppr. Motto—Robur meum Deus. 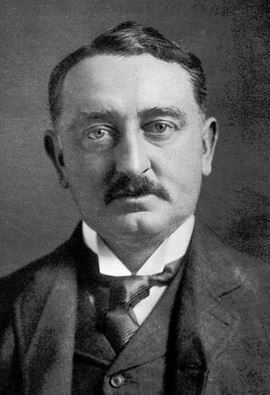 6) or Rodes (Great Houghton, co. York; descended from Sir Godfrey Rhodes, of Great Houghton, son of Judge Rhodes, of Barlborough, by Mary, his second wife, dau. of Francis Charlton, Esq., of Apley; Martha, sister and heir of William Rhodes, Esq., of Great Houghton, who d. unm. in 1740, m. Hans Busk, Esq.). Ar. a lion pass. guard. gu. betw. two acorns in bend az. cotised ermines, a trefoil for diff. Crest—A cubit arm holding a branch of acorns all ppr. 7) (Bellair and Shapwick, co. Devon; supposed to descend from John Rhodes, of Horbury, the eldest and disinherited son of Sir John Rodes, Kot., of Barlborough, co. Derby). Same Arms and Creat, quartering Sleech, Andrew, and Cholwich. Motto—Coelum non animum. 8) (Loventor, co. Devon, bart. ; see Baker, Upper Dunstable House, co. Surrey, bart., page 41). Sir Frederick Edward Baker, 4th bart.. assumed by royal licence, 1878, the surname of Rhodes in lieu of his patronymic, Baker, and was exemplified the following Arms: Quarterly, 1st and 4th, ar. a lion pass. guard. betw. two acorns, slipped, bendwise, az. within two bendlets, nebuly, sa. gutte d’or, the whole betw. as many trefoils slipped, vert, for Rhodes: 2nd and 3rd, per pale ar. and or, on a saltire nebuly, sa five escallops of the first, a chief of the third, thereon a lion pass. 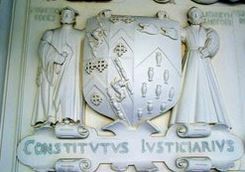 of the second, for Baker Crests—1st, Rhodes: A cubit arm vested az. gutte d’or, cuffed ar. holding an oak branch palewise ppr. fructed or, and two trefoils, slipped, in saltire, vert; 2nd, Baker: A dexter arm embowed, vested az. charged with three annulets interlaced or, cuffed ar. holding in the hand ppr. an arrow also ppr. 9) or Road (co. Stafford). Ar. two trefoils slipped sa. a chief gu. 10) or Road – Ar. three trefoils sa. a chief of the second. Crest—An eagle displ. holding in the dexter claw a dagger ppr. 11) Ar. a cinquefoil pierced sa. 12) or Rhodes (Skyrkett and New Halifax, co. York; granted 1585). Ar. on a cross engr. betw. four lions ramp. gu. five bezants. Crest—A leopard sejant or, spotted sa. collared and ringed ar. 13) (Barlborough, co. Derby, bart., extinct 1743; Sir Francis Rodes, Knt., of Barlborough, was created a bart. 1641; Sir John Rodes, sixth bart., d. 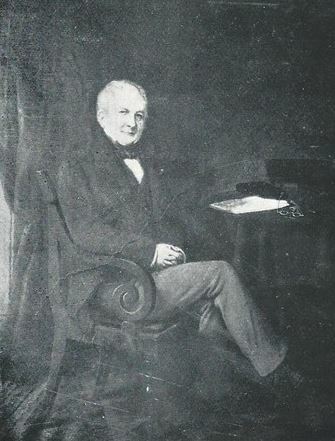 unm., when his estates devolved on Gilbert Heathcote (grandson of Gilbert Heathcote, Esq., of Cutthorpe, co. Derby, by Frances Rodes, his wife, sister of the last bart., who thereupon assumed the name of Rodes). (Rev. 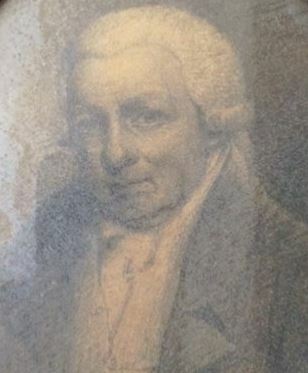 Cornelius Heathcote Reaston, s. to the Barlborough estates 1825, and assumed the surname of Rodes). Ar. a lion pass guard. gu. betw. two acorns az. within two bendlets ermines. Crest— An arm couped at the elbow ar. holding an oak branch or, fructed az. 14) Az. three annulets or, on a chief ar. a greyhound courant of the second, collared gu. 15) Ar. two quatrefoils slipped vert, a chief sa. There are four origin theories or meanings explaining the development of the surname Rhodes and its spelling variants such as Rodes and Rhoades. First, it is topographic last name meaning “at the roads”, denoting a person who lived at or near a crossroads, a piece of land where two roads intersect each other, or more simply, a person who lived near a road, a vital structure in medieval and Middle Age Britain and Europe, many having been built by the Romans in an earlier period. The name can also be a locational name meaning “of Rhodes”, denoting a person who lived in various locales so named, including an estate near Middleton, an estate between the towns of Prestwich and Ringley, a place in Ashton-on-Lyne, a place near Oldham, and a place north of Wakefield in West Riding. The Dictionary of American Family Names disputes this claim, asserting the modern English word road did not come into use to describe thoroughfares until the 1500s AD, well after the name has been established throughout England and the rest of the British Isles of Europe. An alternative, second, theory holds this surname may be a topographic name denoting a person who lived by or in a clearing in the woods, deriving from the Old English word rod, meaning clearing. A third theory, mentioned briefly in Patronymica Britannica by Mark Anthony Lower, published in the mid nineteenth century, is that the name is a corruption or shortened/reduced form of the last name Roadhouse or Rodehouse. Fourth, William Arthur’s 1957 book An Etymological Dictionary of Family and Christian Nmaes states it’s a local name deriving from the Greek island of Rhodes or Rhodos in the Mediterranean Sea (although other sources dispute this connection) or a town in Guieune, France. There was also a small town in Aveyron, southern France named Rodez, bear Toulouse, where the ancestors of the Rhodes family may descend from, as one Richard de Rodez was born there around 977 AD, the son of Bernard de Gevaudan, although most historical sources seem to indicate the name is of Anglo-Saxon, and not Norman or French, origin. Some spelling variants or names with similar etymologies include Rodes, Rode, Roades, Rhoades, Rhoads, Road, Roads, Rhoudes, Rhodeos, Rhoddes, Rhoedes, and Rhoodes. The last name Rhodes ranks 310th in popularity in the United Status as of the 2000 Census. The name ranks particularly high in the following four states: North Carolina, Alabama, South Carolina, and West Virginia. The surname Rhodes frequency/commonness ranks as follows in the British Isles: England (334th), Scotland (895th), Wales (625th), Ireland (3,961st) and Northern Ireland (1,670th). In England, it ranks highest in county Yorkshire. In Scotland, the surname ranks highest in counties Interness-shire and Clakcmannanshire. In Wales, it ranks highest in Merionethshire. In Ireland, it ranks highest in Kildare and Queen’s County. In Northern Ireland, it ranks highest in county Antrim. The name is also present throughout the remainder English speaking world: Canada (1,883rd), New Zealand (407th), Australia (648th), and South Africa (1,557th). The 1890 book Homes of Family Names by H.B. Guppy, states the following in regard to this surname: “Rhodes is a name principally represented in the West Riding, but it is also established in Lancashire, Notts, and Derbyshire, and it occurs as Rhoades in Lincolnshire. Roads is a numerous Bucks name. There are hamlets and villages called Rhodes in Lancashire and the West Riding. A family named Rodes or De Rodes flourished for 500 or 600 years in Lincolnshire, Notts, Yorkshire, and Derbyshire: they were descended from Gerard de Rodes, a distinguished baron of the 12th century. The Derbyshire branch was a knightly family of Barlborough in the 17th and 18th centuries, rewarded with a baronetcy in 1641”. A one Hugh de Rodes was documented in the Assize Court Rolls of Yorkshire in 1219 AD. The Hundred Rolls of 1273 AD, a census of Wales and England, known in Latin as Rotuli Hundredorum lists two bearers of this surname: William del Rode (Norfolk) and Simon de la Rode (Suffolk). A one Alexander de la Rode was documented in Norfolk, England in 1277 AD. John atte Rode was recorded in Bedfordshire in 1294 AD. Robert del Rodes was recorded in the Subsidy Rolls of Lancashire in 1332 AD. Kirby’s Quest recorded William atte Rode and Robert atte Rode in 1327 AD, both in county Somerset, England. Robert del Rodes was documented in Lancashire, England in 1332 AD. The Poll Tax of Yorkshire in 1379 AD lists four bearers of this last name: Edmundus del Rodes, Agnes del Rodes, Alicia del Rodes, and Henry del Rodes. The Lancashire Wills at Richmond record two bearers: Margery Rodes of Ribchester, a widow, and Edward Roads or Rhodes of Thornley. The lineage or ancestry of this family begins with William Rhodes of Tintwistle, county Chester, England, who had a son named Thomas. This Thomas was of Mersey Bank, Hadfield, county Derby, a Justice of the Peace who married Amelia Fletcher, and before his death in 1883, had issue with her. 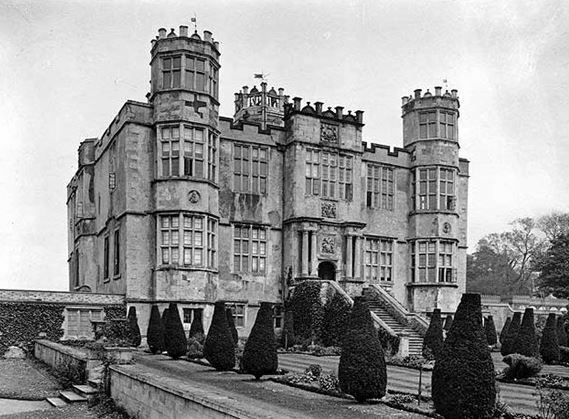 His only surviving son was Sir George Wood Rhodes, 1st Baronet, a Justice of the Peace of county Chester, who was born in 1860 and created a Baronet in 1919. In 1883, he first married Margaret Catherine, daughter of John Phillips of Liverpool, and had issue with her as follows: Sir John Phillips (2nd Baronet), and Philip Wood (Commander in the Royal Navy, had daughters named Pamela Beresford and Vivien Patricia). In 1844, he secondly married Elspeth, daughter of T. Tod of Durban, South Africa, and had a daughter with her named Elizabeth Marjorie “Jill” Strathhorron. 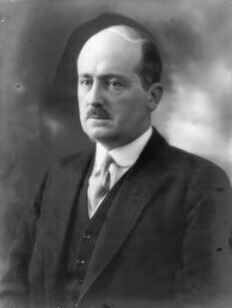 His son, Sir John Phillips, 2nd Baronet, was born in 1884 and was of Hollingworth, county Chester, England. He was a Lieutenant Colonel who served in World War I at Croix de Guerre and was a Member of Parliament for Stalybridge and Hyde. 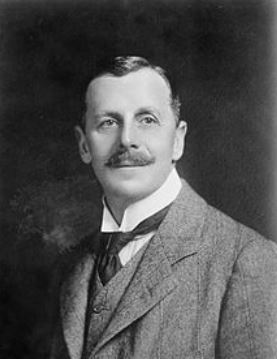 In 1913, he first married Constance, daughter of Lieutenant Colonel George Alexander Maclean Buckley, and had a son with her named Christopher Green (educated at Eton and Oxford University, Lieutenant Colonel in World War II, married Mary Kesreven and later Mary Florence Wardleworth, had sons named John Christopher Douglas born in 1946 and Michael James Phillip born in 1948). In 1926, he secondly married Doris Mary, only daughter of William H. Adams. The Rhodes Coat of Arms (mistakenly called the Rhodes Coat of Arms) has the following heraldic blazon: Azure on a bend between two lozenges or, a leopard’s face gules between two holly leaves vert. Crest: Two lion’s gambs erased gules supporting a lozenge charged with a holly lead both as in the arms. Motto: Per vias bonas. They resided at Shamley Green, Guilford. Thomas Rode was born in 1478. He married Margaret Davenport and had a son with her named Thomas, who was born in Chester, Cheshire, England in 1521. He married Alice Moreton and had one daughter and two sons with her: Elizabeth, John, and Thomas. 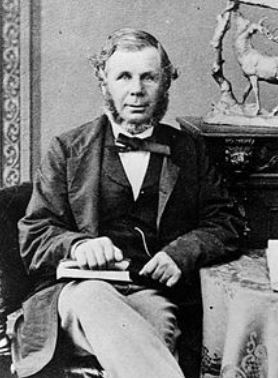 His son John Rhodes was born in Hipperholme, West Yorkshire and he married Rosalyn Wilson, with whom he had the following children: Walter, Samuel, Richard, Wilson, and Alyce. His son Walter was born in West, Yorkshire, England around 1577. He married Elizabeth Joanna Barstow and had a son with her named Zachariah. He went to colonial America where he died in Providence, Rhode Island. His son Zachariah was born in Leamington, Warwickshire around 1603 and went to America with her father. He married Joanna Arnold and had the following issue with her: Jeremiah, Rebecca (Williams), Elizabeth, Mary (Lowe), Zachariah, John, Malachi, Mercy, and Peleg. His son Captain John Rhodes was born in Pawtucket, Rhode Island around 1658. He married Waite Waterman and had three sons: Zachariah, John Jr., and William. His son William was born in Rhode Island in 1695. He married Mary Sheldon and had issue with her as follows: Waitstill, William, Joseph, Nehemiah, and Eunice. His daughter Eunice was born in Providence, RI in 1741. She married Thomas Haszard and had two issue with her prior to her heath in Prince Edward Island Canada in 1809: Thomas Rhodes Haszard and Eunice Haszard. A one Thomas Rhoades was born in Great Britain in 1670. He came to colonial America. He had a son named John. This John Rhodes was born in Bertie, North Carolina in 1698. He married Elizabeth Apple and had two sons with her: John and Charles. His son John was born in North Carolina in 1723. 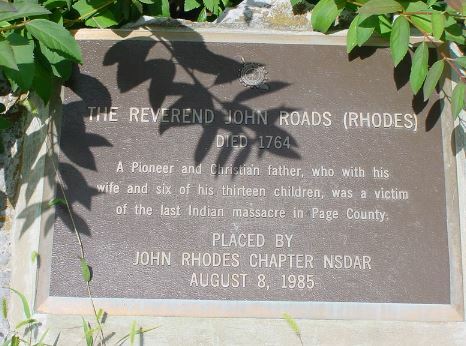 He in turn had a son named John William Rhoades or Rhoads who was born in Bertie, NC in 1748. 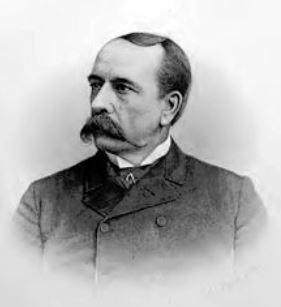 He married Abenella Eason and had a son with her named Abner. Abner was born in Bertie, North Carolina in 1775 and went to Tennessee. 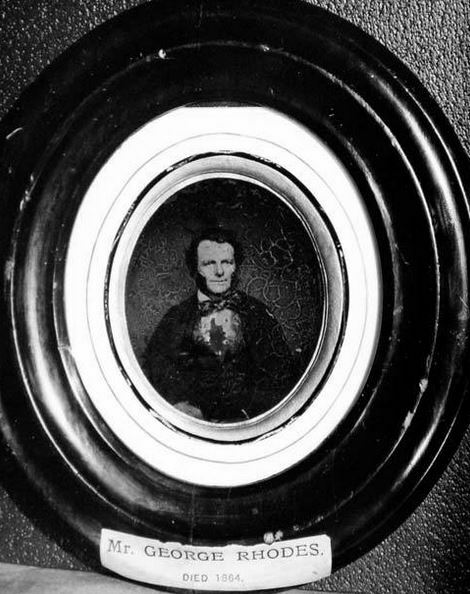 He had a son named William Henry Washington Rhodes who was born in Henry, Tennessee in 1811. 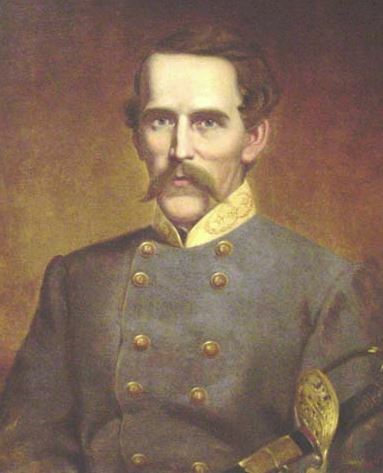 He married Sara Jane Fleming and had the following issue with her: Sarah A, Abner, Nancy E., Rachel, Amanda Booker, Robert, George W., William, Moses, and Frances M. His son Robert was born in Tennessee around 1840. Early settlers in colonial America bearing this surname include Henry Rhodes (Massachusetts 1643), Africa Rhodes (Virginia 1650), Elizabeth Rhodes (Maryland 1651), John Rhodes (Maryland 1651), Abraham Rhodes (Maryland 1673), John Rhodes (Maryland 1774), and William Rhodes (New York 1789). 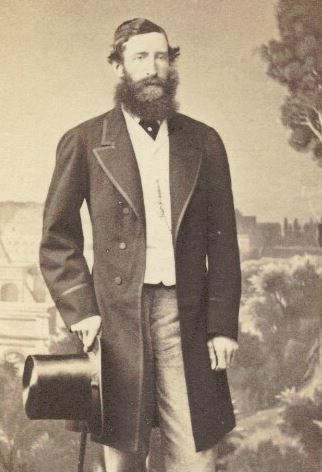 In Canada, one of the first bearers was Gilbert Rhodes, who came to Victoria, British Columbia in 1862. In Australia, some of the earliest settlers bearing this last name were Samuel and William Rhodes, convicts from Surrey and Chester, England, respectively, who came aboard the Albion in May of 1823, settling in Van Diemen’s Land (modern day Tasmania). 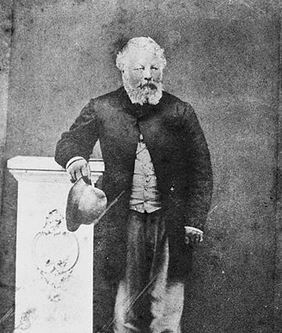 In New Zealand, Richard Rhodes, age 29, a farmer, came to Port Nicholson aboard the Lady Nugent in 1841. 1) Rhoades. Argent on a bend azure cotised ermines two acorns leaved. In chief a lion pass guardant [gules] Crest: a dexter arm grasping three acorns leaved proper. Motto: Gwell anguana chywydd Bookplate Julius Rhoades. Hall, Packard & Cushman, sculpture. 2) Argent 2 trefoils slipped vert, on a chief sable a lion pass or Crest: from a cap of maintenance gules, turned up ermine, a male griffin’s head sable, langued gules, about the neck a riband argent with ends flying to dexter. Motto: Coelum non animum Framed painting, modern, owned by Walter C. Lewis, Brookline, Mass. Seen by Dr. H. Bowditch. 3) Argent on a cross engrailed gules between four lions rampant gules as many bezants. Crest: a leopard sejant or, spotted sable. Bookplate Frederick Leland Rhodes. John Rhodes has the leopard collared and the motto: Ung durant ma vie. 1) Simon Rhodes of Newport, Rhode Island, 1716, from Rode, Cheshire, England. Argent, two quatrefoils slipped sable a chief of the last. Crest: A wolf’s head couped sable, collared argent. 1) John Foster Rhodes of Chicago, Illinois, who was born in Brownsville, Pennsylvania in 1850. He was knighted by the King of Portual and received the Military Order of Christ in 1895. 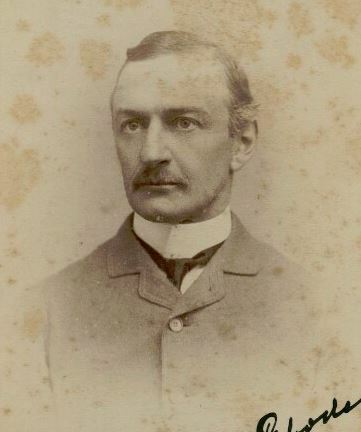 In 1878, he married Margaret White, daughter of John Paterson and Corelia White of Connecticut, and had three issue with her as follows: Joseph Foster (1881), Margaret Elizabeth, and Nellie (1886). Arms: Quarterly, 1st and 4th gules, a lion rampant or; 2nd and 3rd argent, two bends gules, on a chief azure a label of three points or. Crest: A double headed eagle displayed sable. Motto: Coelum non animum. He was the son of Reverend Daniel Rhodes and a descendant of Huges I, Count de Rodez). There are hundreds of notable people with the Rhodes surname. This page will mention a handful. Famous people with this last name include: 1) Arthur Edgar Gravenor Rhodes (1859-1922) who was the Mayor of the city of Christchurch, New Zealand and a member of Parliament from said country, 2) Augustus Loring Rhodes (1821-1918) who was the 10th Chief Justice of California, born in Oneida County, New York, 3) Benjamin “Ben” Rhodes (1997) who is an American stock race car driver from Louisville, Kentucky who drives in NASCAR, having won the 2014 K&N Pro Series East, 4) Damian Rhodes (1969) who was a professional hockey player in the NHL who played from 1990-2003 for three different teams: Toronto Maple Leafs, Ottawa Senators, and Atlanta Thrashers who was born in St. Paul, Minnesota, 5) Doris Lindsey Holland Rhodes (1909-1997) who was the first woman elected to the Louisiana State Legislature, 6) Elisha Hunt Rhodes (1842-1917) who was an American Colonel and Brigadier General in the Union Army during the American Civil War, commander of the Rhode Island Militia, 7) Frank Harold Trevor Rhodes (1926) who was the 9th President of Cornell University from 1977 to 1995, having been born in Warwickshire, England, 8) James Allen Rhodes (1909-2001) who was the 61st and 63rd Governor of Ohio from 1963-1971 and 1975-1983, 9) Harold Burroughs Rhodes (1910-2000) who was the inventor of the pre-piano, Army Air Corps Piano, and Rhodes piano, born in the San Fernando Valley of California, 10) Jennifer Rhodes (1947) who is an American actress from Rosiclare, Illinois whose career spans four decades from 1971 to 2017 including several horror films and numerous television appearances, and 11) John Jacob “Jay” Rhodes III (1943-2001) who was a Republican member of the U.S. House of Representatives from Arizona from 1987-1993. The main heraldic symbols or devices depicted within the Rhodes Coat of Arms (sometimes erroneously referred to as the Rhodes Family Crest by those unfamiliar with heraldry and genealogy) are the trefoil and annulet, each which has its own unique meaning. Natural objects abound in heraldry, and one category that gives especial delight are the many flowers and flowering plants that frequently occur. The trefoil may originally been a representation of a specific plant (perhaps shamrock) but it has been used as a symbol almost since the beginning of heraldry and over time has adopted a stylized aspect. Guillim believes that it signifies “perpetuity…the just man shall never wither”. For easy recognition of the items on a coat of arms, and hence the quick identification of the owner, bold simple shapes are best. Hence, simple geometric shapes are often used for this purpose, and the annulet is a good example, being a circular ring of any colour. They also appear interlaced or one within the other, both of which are very pleasing additions. Wade believes that these were one of the symbols of ancient pilgrims.